In 1988 South Africa celebrated the 300th anniversary of the arrival of the French Huguenots in the country. 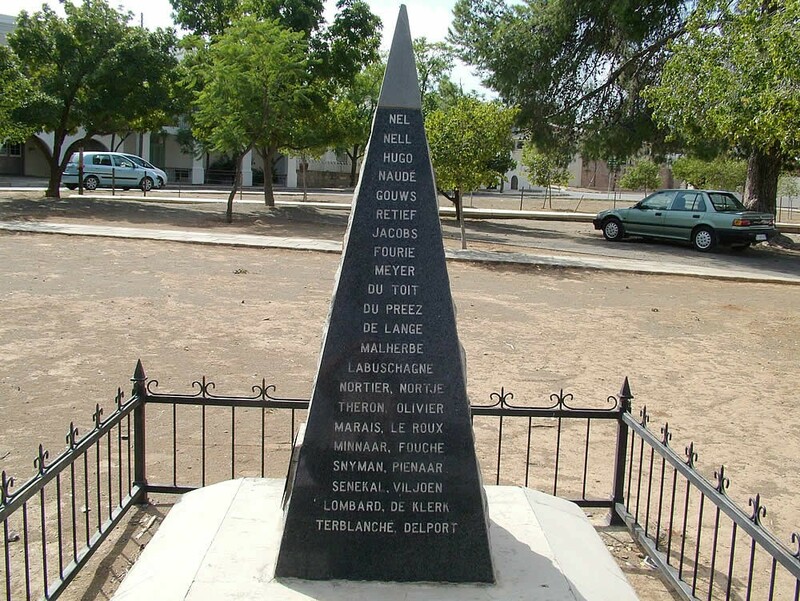 To mark this occasion a small monument in the form of a pyramid was erected in Church Square, Graaff Reinet. 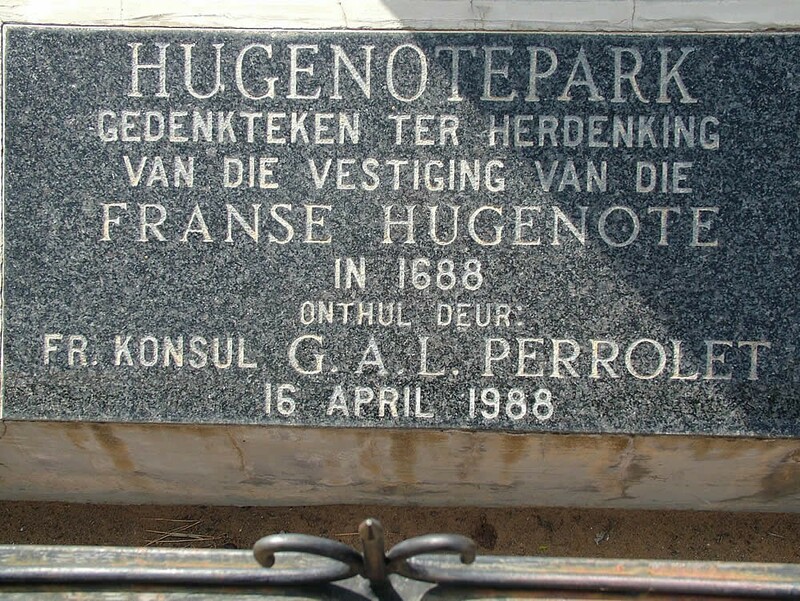 The French Consular representative in South Africa, Gerald Perrolet, unveiled the monument on 15 April 1988.